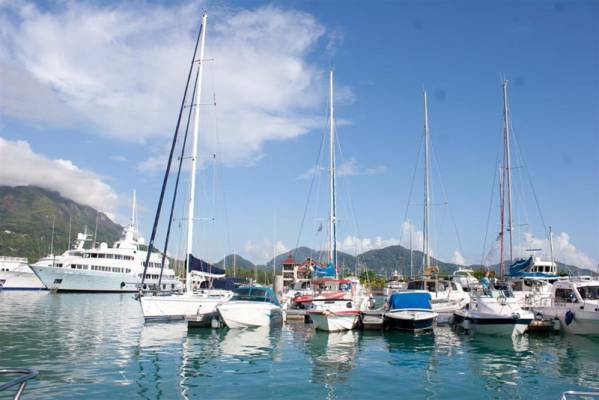 The luxurious Eden Island development provides the only international deep-water, full-facility marina in Seychelles. Whether you’re a permanent resident or a holidaymaker, Eden Island’s marina in Seychelles provides excellent facilities, even for super yachts of up to 100m. That’s because each home in the resort has its own mooring, either directly in front of the property, or just a short walk away. As the only deep-water marina of its kind in the area, this is the ideal starting point for any excursion around the Seychelles inner islands, or even further. Close proximity to other Vanilla Islands destinations – Enjoy the picturesque sights of Seychelles, and travel easily to the associated countries of Comoros, Madagascar, Mauritius, Mayotte and Reunion. Outstanding waterfront facilities – Our world-class yacht and catamaran facilities are part of what makes this a sought-after location. In addition to a secure mooring, all necessary amenities are available, such as fresh water, electricity, pumping, re-fuelling, plumbing and sullage removal. Safe moorings – Eden Island is situated away from the cyclone belt and is not affected by destructive seasonal weather patterns. This means that your yacht is truly secure in this crime-free estate. Permanently temperate weather – Seychelles enjoys mild weather, all year round. This is a real advantage for those who love to sail, but need the freedom of a summertime that suits their schedule. When you own a pristine home that overlooks the Eden Island Marina, you can rent your accommodation out to holidaymakers who’ll make the most of the facilities.